Sustainable development as an answer to the economic and financial crises – Sustainable Development Dialogues, Rio+20, 16.06.2012. Som del af Rio+20-konferencenen afholdes der i dagene 16.-19. juni en meget spændende serie af Sustainable Development Dialogues, som prøver at nå ind til benet af begrebet bæredygtig udvikling. Mr. Fabio Barbosa – Executive-President, Abril S.A.
For hver af de 10 dialoger er der forud opstillet 10 anbefalinger, hvor dialogerne har til formål at indskrænke antallet til tre. Den ene anbefaling fastlægges ved online afstemning med inddragelse af de virtuelle deltagere (typisk mere end 1 mio. afgivne stemmer), den anden fastlægges af panelet ved dialogernes afslutning, den tredje afgøres ligeledes ved afstemning fra salen. ◊ Encourage businesses to adopt sustainability standards, such as the United Nations Global Compact principles. ◊ New institutions should be created to steward and manage the global commons and adopt commons-based economic models. ◊ Educate future leaders about sustainable development (PRME Initiative). ◊ Ban the use of Gross Domestic Product (GDP) as a measure for social progress. ◊ Promote collaboration across sectors and at the local level to address financial crises. ◊ Moving towards a green economy must become a strategic economic policy agenda for achieving sustainable development. ◊ Promote inequality reduction as a major goal in the agenda of international organizations. ◊ Promote Ecoservices Payment Mechanisms. ◊ Promote the use and transfer of latest technology as a means to advance sustainable development. ◊ Promote tax reforms that encourage environmental protection and benefits the poor. ◊ Create a tax on international financial transactions with a view to contributing to a Green Fund in charge of promoting decent jobs and clean technologies. ◊ Promote tax reforms that encourage environmental protection and benefit the poor. ◊ The world will adopt shared sustainable development goals (SDGs) that will be embraced by business, civil society and the public sector. These goals will include innovative metrics, public disclosure, public awareness, education at all levels, and problem solving from local to global level to map the pathways to achieve the goals. The five critical areas that we have discussed: 1) empowering every place in the world to ensure that every individual meets their basic needs of health, safe water, sanitation, and dignity of decent lives; 2) sustainable development energy system; 3) sustainable food supply locally and globally; 4) sustainable urban environments, including initiatives on water systems, sewage and other smart infrastructure; and 5) sustainable industry that is committed and required to clean up after itself. These sustainable development goals will be met through a shared set of principles and methods that will apply for all, including taxes where we all see a very strong possibility to steer in the right direction, financial reform, including innovative financing for green development and a shift to sustainable technologies in general. 1) Sustainable development as an answer to the economic and financial crises. 2) Unemployment, decent work and migrations. 3) Sustainable development for fighting poverty. 4) The economics of SD, including sustainable patterns of production and consumption. 6) Food and nutrition security. 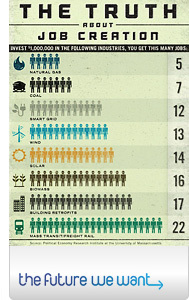 7) Sustainable energy for all. 9) Sustainable cities and innovation. Se samtlige ti indlæg med Sustainable Development Dialogues. 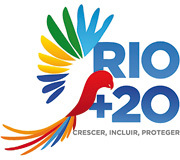 Rio+20 Sustainable Development Dilaogues Fact Sheet (pdf).